Your Seminyak accommodation is in a new breed of Bali resorts. Private, self-contained Villas offer the luxury of a gourmet kitchen and open-air dining and living spaces. 24-hour hotel services and facilities are on hand to indulge your every whim. Celebrate, relax and unwind with spa treatments exclusive to The Spa at Seminyak. Dine at The Laneway restaurant. Lounge beside the pool or relax at the Bal� traditional Balinese pavilion in a tranquil tropical garden. 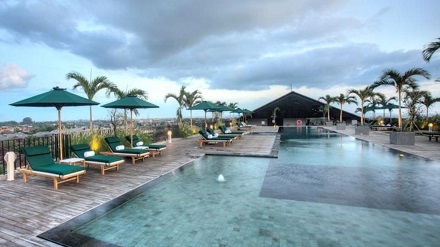 Peppers Seminyak is just 7 kilometres from Denpasar International Airport. 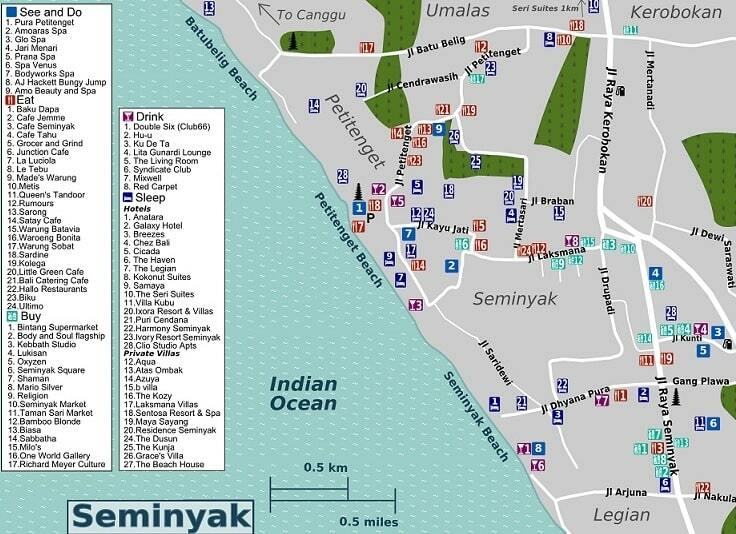 Seminyak resorts in this desirable location are surrounded by high-end fashion boutiques, designer stores, restaurants, bars and art studios. The area's famous sunsets and beaches are within walking distance. Boasting a unique concept of 24-hour services, guests of U Paasha Seminyak Hotel can enjoy their rooms for 24-hours from arrival as well as breakfast whenever/wherever they wish during their stay. Guests will find international and local calls at cost as well as pre-select amenities such as a pillow, tea, music, and soap from the property's U Choose program. For the comfort and convenience of guests, you'll also find airport transfer, safety deposit boxes, a coffee shop, and room service on-site. Unwind with a choice of an outdoor pool or gym - just a few of the hotel's excellent sporting and leisure offerings. The hotel blends expert service with state-of-the-art facilities to provide guests with a memorable stay. Enjoy a restful vacation in Seminyak and stay with U Paasha Seminyak Hotel to experience it all. 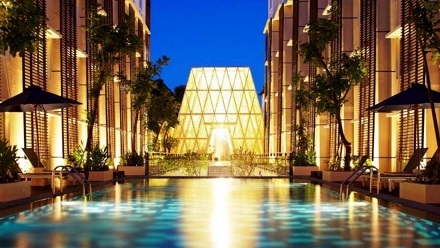 Offering quality accommodations in the shopping, beaches, restaurants district of Bali, Ananta legian Hotel is a popular pick for both business and leisure travelers. From here, guests can enjoy easy access to all that the lively city has to offer. Visitors to the hotel can take pleasure in touring the city's top attractions: Cocoon Beach Club, Padma Clinic, Consulate of Brazil. 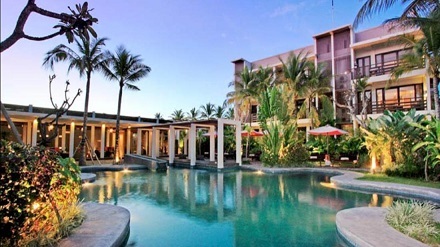 Ananta legian Hotel also offers many facilities to enrich your stay in Bali. To name a few of the hotel's facilities, there are free Wi-Fi in all rooms, 24-hour security, 24-hour front desk, 24-hour room service, Wi-Fi in public areas. accommodations have been carefully appointed to the highest degree of comfort and convenience. In some of the rooms, guests can find television LCD/plasma screen, internet access � wireless, internet access � wireless (complimentary), non smoking rooms, air conditioning. The hotel offers fantastic facilities, including outdoor pool, pool (kids), to help you unwind after an action-packed day in the city. Whatever your reason for visiting Bali, the Ananta legian Hotel is the perfect venue for an exhilarating and exciting break away. This massive property on Bali's Seminyak Beach allows guests to experience a truly impressive holiday. An excellent beachfront location also places you within walking distance to shops and some of Bali's hottest dining and nightlife venues. 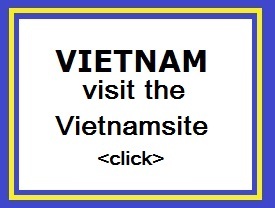 The hotel is surrounded by gardens and beaches and features two outdoor pools. Each of the rooms at the hotel feature a balcony and bathtubs as well as 24-hour room service. And with Seminyak being the spa capital of Bali, you should not miss a trip to Le Spa at the hotel, offering a wide range of relaxing treatments and therapies incorporating the local traditions. 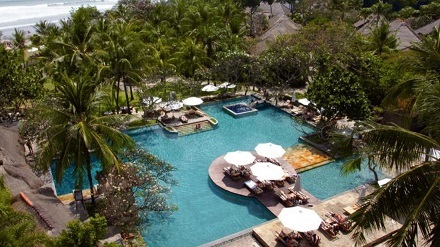 With exceptional service and a long list of amenities, The Royal Beach Seminyak Bali is an experience not to be missed.